Gillian Welch and Dave Rawlings – I’m an alt-country girl at heart and their music is so hauntingly poetic and heartfelt. Don’t sweat the Goodreads reviews. Seriously – I stopped reading them because my mood would swing with the good and the bad opinions. So I just stopped. I have enough critical voices in my own head. I steer more country than pop, though I do like a man with lots of tattoos, and I’ve been known to have the moves like Jagger while I’m vacuuming. Um, meals? More like grabbing fistfuls of chips and chocolate and washing it all down with wine. I honestly can’t remember the title of my first manuscript, but here’s the elevator pitch: A bad boy opium trader falls for a missionary’s daughter in Victorian-era Shanghai. I’m going with Orwell. Very relevant for the uncertain times we live in. I’m a night owl and my favorite time to write is after 10pm. Coffee is my BFF, the stronger the better. I’m going to have to go with Dorothy since I played her in a grade school production of the Wizard of Oz. My family dog, a miniature schnauzer named Pepper, portrayed Toto, to great critical acclaim. My husband and I are musicians and we like to sing and play instruments together. We’re always hunting for country/rock/jazz/blues on vinyl, and our record collection is getting out of control. I navigate every city I visit by the location of the thrift and vintage stores because I love hunting for treasures. 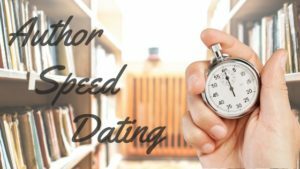 I experienced the dreaded second book syndrome. I felt like the book would never get written, would never be good enough, and I’d have to give up writing. I dedicated the book “To all the girls who doubt themselves” because that’s exactly what I was doing. What helped me get through that dark time was the advice of fellow authors who had been through it themselves, and the book BIG MAGIC by Elizabeth Gilbert. I’ve published a three-book series, and I have at least four half-finished books and two novellas languishing on my hard drive. Book two of my debut series was challenging all around. I had to completely rewrite it twice. Thank heavens my editor, Amanda Bergeron, was so very patient and brilliant. I never would have made it through without her. My debut novel featured a strong heroine who knew jujitsu and had a tattoo. Not your garden variety Regency heroine, and probably always my favorite. “What are you thinking about, Miss Tombs?” Lord Hatherly asked in a deep, sonorous voice that harbored a rumble of amusement. Alice startled, blushing even harder. “Nothing. Nothing at all.” She struggled to calm her rapid breathing. Regain your composure this instant, Alice Perpetua Felicity Tombs, she admonished sternly. You don’t want to bed him, you want to bedevil him. Inspire him to leave and never come back. She was immune to his particular type of decadence. Well, wasn’t she? She risked a sideways glance. No one should have a jaw so chiseled or eyes so silver. It made her almost angry how handsome he was. His appearance is the only agreeable thing about him, and he can’t take credit for what God gave him. Be rid of him quickly and thoroughly. She must marshal her thoughts to order. Lead the charge. Hunt the hunter. Had he just called her Dimples? He was definitely going down in flames. BLAME IT ON THE DUKE, Book #3 in the Disgraceful Dukes series and an April 2017 release from Avon Books, may be purchased through these and other retailers: Amazon, Barnes & Noble, Books-A-Million and Harper Collins. Lenora Bell grew up in a small Alaskan town by the ocean that still has no traffic lights or fast food. An English teacher with an MFA in Creative Writing, she travels the globe using music to bring smiles to classrooms. She currently lives in the Midwest with her carpenter husband and two naughty tiger-striped kitties. 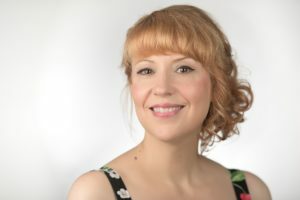 In 2014, she won the Romance Writers of America’s Golden Heart Award for Best Historical, and her first Regency romance was published by Avon Books in 2016. Stay in touch with Lenora through her website, www.lenorabell.com, or through these social-media channels: Twitter, Facebook and Instagram.